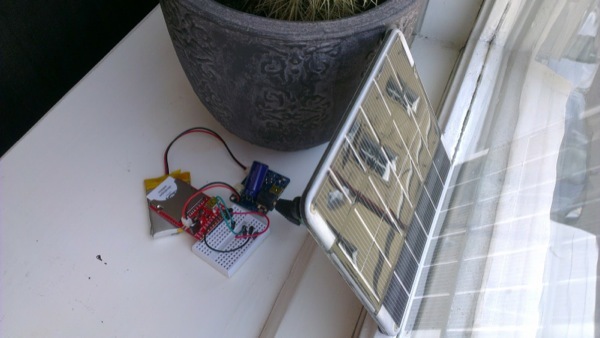 Electric Imp Solar Powered Temperature Logger « Adafruit Industries – Makers, hackers, artists, designers and engineers! 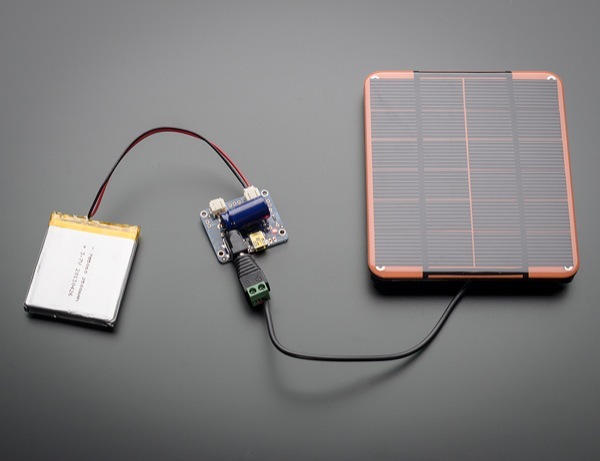 Make your projects to go green this summer with our specialized USB/Solar Lithium Ion Polymer Battery charger! This charger is a very unique design, perfect for outdoor projects, or DIY iPod chargers. We’ve spent over a year testing and tinkering with this charger to come up with a plug and play solution to charging batteries with the sun and we’re really pleased with what we ended up with.